Ready Player One has taken the Library by storm! 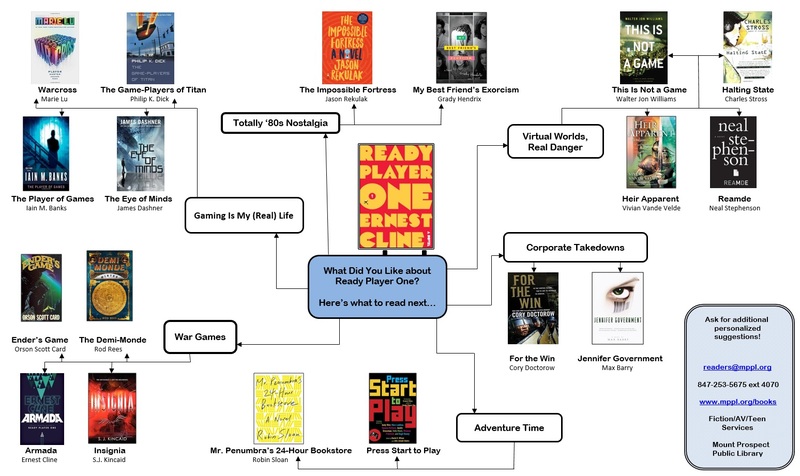 If you have read Ernest Cline’s novel of adventure and pop culture geekery and would love to find something like it, choose your path from the map below. Take a closer look at the reading map here. For additional readalikes or personalized suggestions, contact a Readers’ Advisor.